Q.U.B.E. 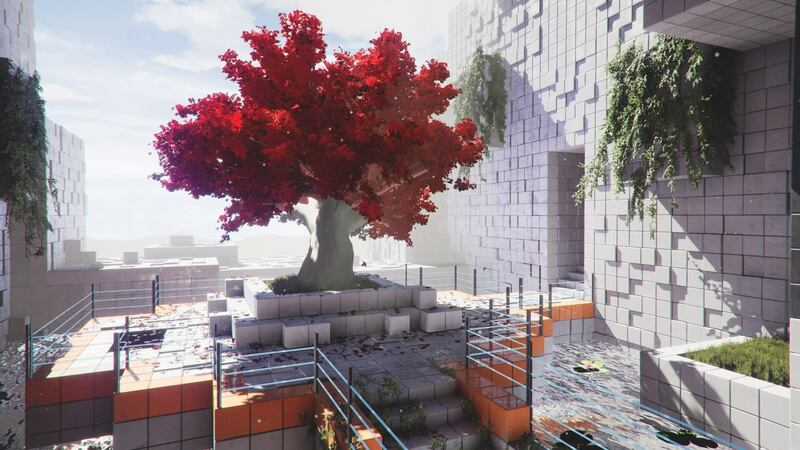 2, the upcoming sequel to puzzle-platformer Q.U.B.E., is currently scheduled to be released early this year. Ahead of the game's release, London-based developer Toxic Games has shown a little of how the game will play in a minute-long trailer. The trailer contains plenty of cubes (to be expected considering the name) being used in all manner of ways by main character Amelia Cross, as she looks to traverse this alien world in which she's found herself, including bouncing about the world and setting the cubes on fire. Check it out below. Q.U.B.E. 2 is currently scheduled for Q1 2018, so hopefully we hear about a more solid release date sooner rather than later.